In case you missed it, North Carolina’s list of schools eligible for a controversial charter takeover program has been whittled down to six schools. That list now includes two schools in Durham, two schools in Robeson County, and one school apiece in the Northampton and Nash-Rocky Mount school districts. But The News & Observer offered up a report Tuesday on one Johnson County school’s pushback against their initial inclusion on the state’s list. That school, Selma Middle, did not make the shortlist released late last week. Members of the State Board of Education are expected to select two schools for the program in December. 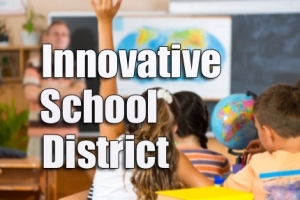 Next year, five N.C. schools that rank in the lowest 5 percent will be taken away from their districts and handed over to a charter school operator as part of the state’s new and controversial Innovative School District. Supporters of the new program say the change will breathe new life into struggling schools, but critics argue traditional public schools should remain under local control. All schools included as candidates for the program consistently test poorly and include all or part of grades K-5. Selma Middle meets the requirements because it enrolls fifth-graders. Last year, Johnston Superintendent David Renfrow tasked district officials with assessing student achievement, growth and the public perception of each school. They collected numerical data, interviewed staff, held meetings with community leaders and hosted “kitchen table” talks with parents in school cafeterias. The study revealed that students at Selma Middle face significant challenges, including issues outside of school like poverty and difficult home environments. While student proficiency levels remain low, growth rates for students are steadily rising, which Price believes is a more accurate measure of a school’s effectiveness. Administrators began tackling the problems of Selma Middle before the school year began last month. Price said he doubts a charter organization could do better than his local team. The plan to bring Selma Middle up to scratch includes a new principal, better communication between the school and families, meaningful community involvement and applying for the state’s Restart school improvement model. Had Selma Middle applied for Restart last year, it would have automatically been excluded from consideration for the Innovative School District, but local leaders wanted to wait to apply until their assessment was complete. Principal Chris Germanoski said his main goal is to increase community involvement, which he and Price agree is crucial in implementing any reform model.